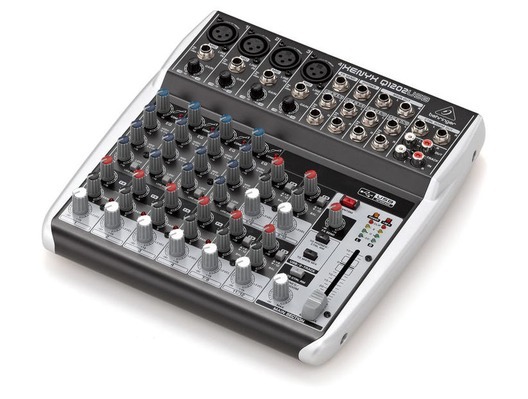 The Behringer Xenyx Q1202USB is a premium 12-input 2-bus mixer with a built-in USB audio interface. Behringer Xenyx mixers have been a favourite amongst music professionals for many years by combining reliability, professional levels of specification and exceptional value. 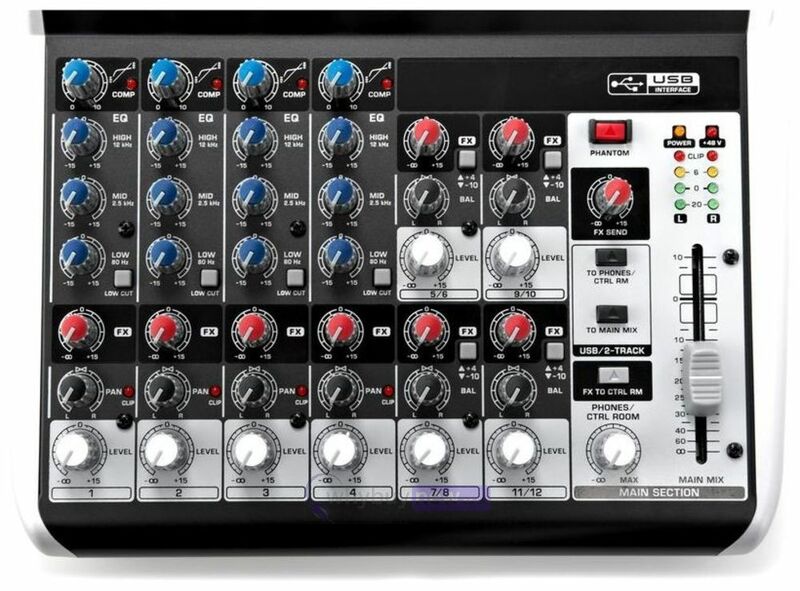 Q-Series of mixers take these same core values but add further innovative features which will give bands, producers and other audio professionals increased power to make professional recordings. 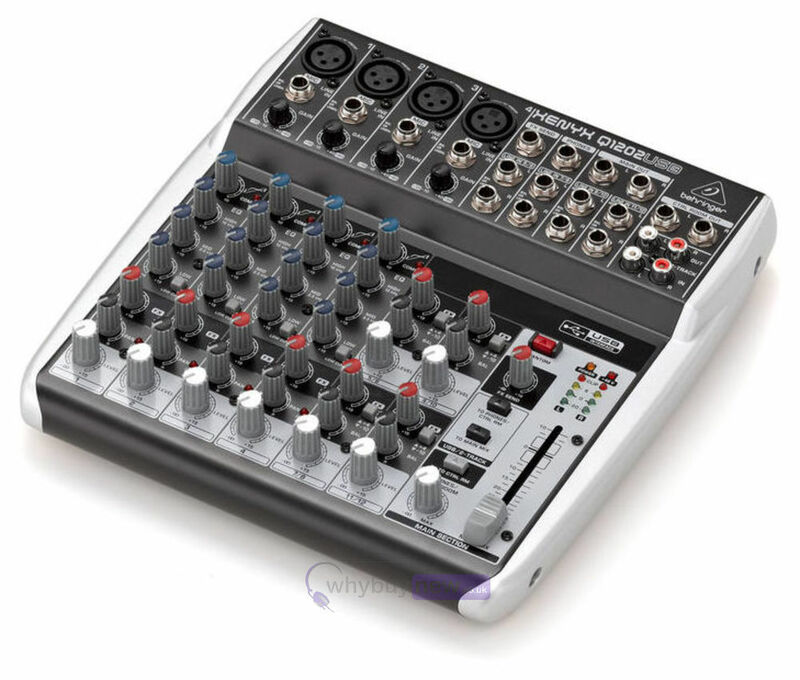 The Xenyx Q1202USB is an incredibly versatile mixer for your live performances, with the sound quality of a large mixer in a smaller, portable format. But the Xenyx Q1202USB isn't just designed to handle your live gigs, it also provides the state-of-the-art tools you need to make stunning, professional-quality recordings. 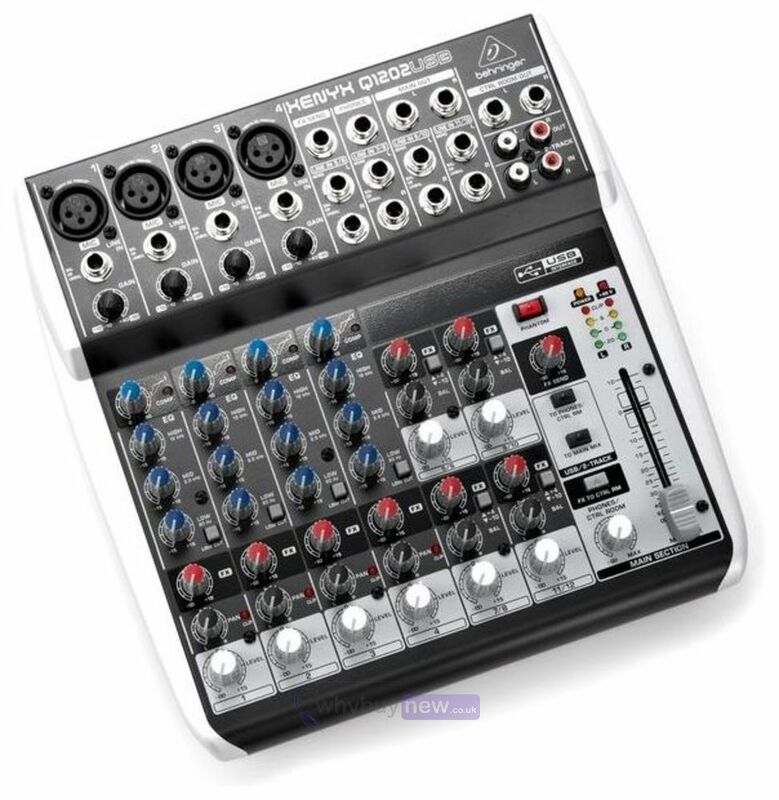 Along with its built-in USB/audio interface, the Q1202USB mixer comes with all the recording and editing software needed to turn your computer system into your own personal high-performance home recording studio. No matter what your audio mixing needs, the Q1202USB provides the performance and features that can take your talent to the next level, at a price that is sure to amaze you. Professional sound quality, Behringer's legendary XENYX mic preamps and easy-to-use "one-knob" compressors, British EQs and built-in USB connectivity make the Q1202USB ideal for both your live gigs and recording.